Good Morning all you lords, ladies, lads & lasses in the world near & far. The cool morning has of course allowed for a great mood to be in place right from the start. The windows are open, no A/C is blowing yet and we hope we can have a few hours of listening to the birds chirping. 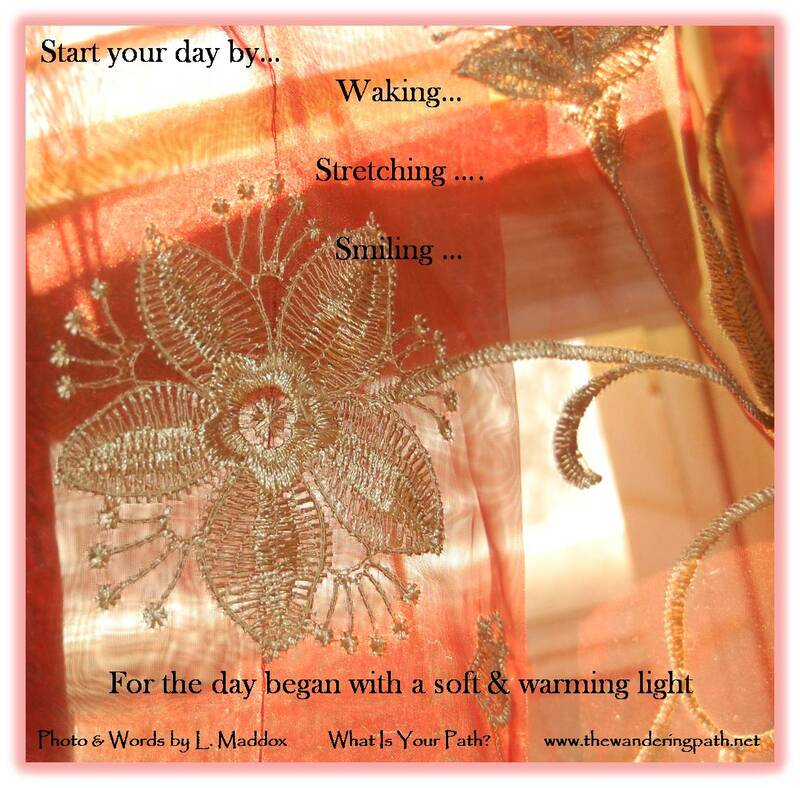 For you this morning, a bit of a waking mantra…remember when you rise that you should open the eyes, stretch the body, and smile. The owner has these burgundy sheer with gold scroll work curtains over the windows and when the light shines in just right…it gives such a soft glow to the room. We hope you can begin your day in such a manner, especially on those trying days. Have a fantastic mid-week!